The Shires Stretch Hat Covers are designed to be used on a jockey skull cap style riding hat. 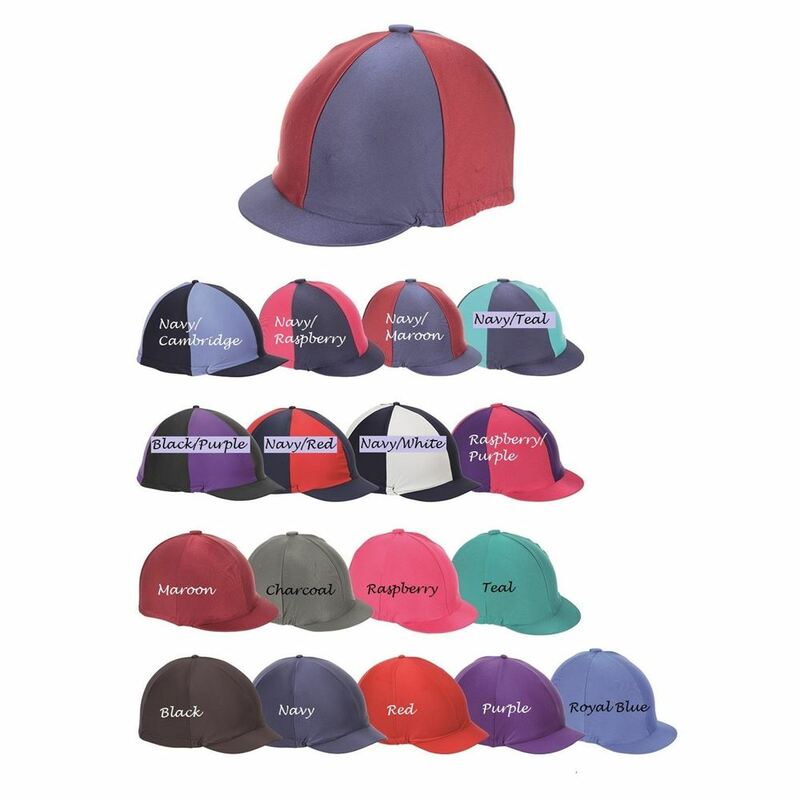 Dark, plain coloured Stretch Riding Hat Covers are a good choice on larger hats as they will keep the hat looking neat and streamlined on the riders head. Black and navy can also be used to make a jockey skull style riding hat look neat enough to use for local dressage or showjumping competitions.